The work I continue as I have time. 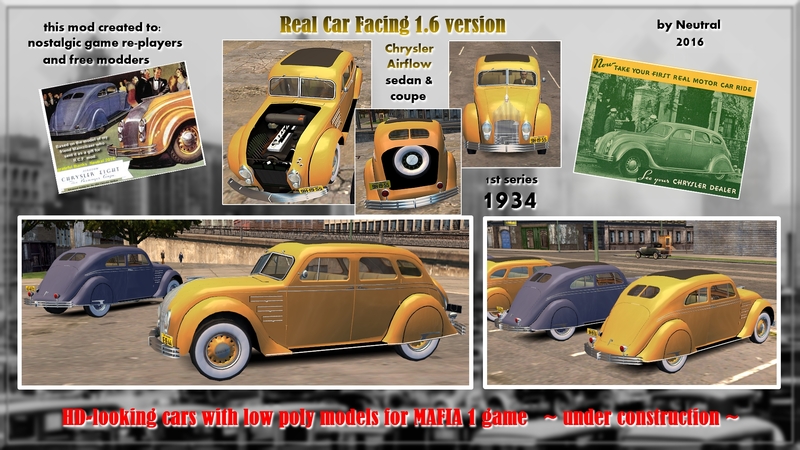 I tried a lot of modeling program but to the best for mafia1 game the old zmodeler 1.07c ( djboszkoz HD edition ), because it can only be exported immediately 4DS format. 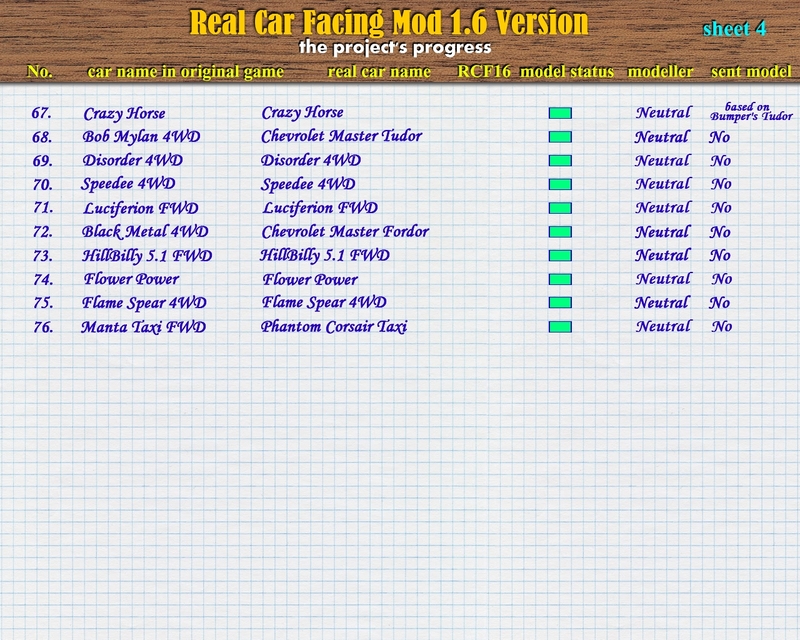 I got a lot of experience over the years in the preparation of Ikarus mod, these are now incorporated in the cars. Maybe you can see those fantastic original cars so beautiful like me too, this is why i make research for original look and trying to create similar at least outside. The reflection in the picture does not seem well, so then I will upload a video about them. These new experiments with glare, a model that emphasizes the form I try new solutions, the base game can do more than what has been realised. No directx or bump mapping, etc. but the basic technology skills I use it, it has worked i think. Last time i forgot about you a little but the work going well. Here are two of last finished model but i have much to create yet. Now i know how works the "jizda" cheat so i can create removable car roofs finally. Gotta give this a go when released. Absolutely beautiful. The Chrysler Airflow was one of my most favorite vehicles from the original Mafia, and it's such a shame that there was no high quality models of it on the internet. The one you made is really beautiful though, and I love it! All of your car models are very beautiful. Keep up the awesome work. Really looking forward to news from you. 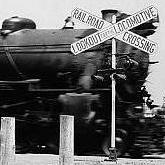 I kinda feel like that the railway crossing gates in Mafia are not authentic, not what they should be, in the USA. Just felt like putting this here. I forgot to tell you something important. 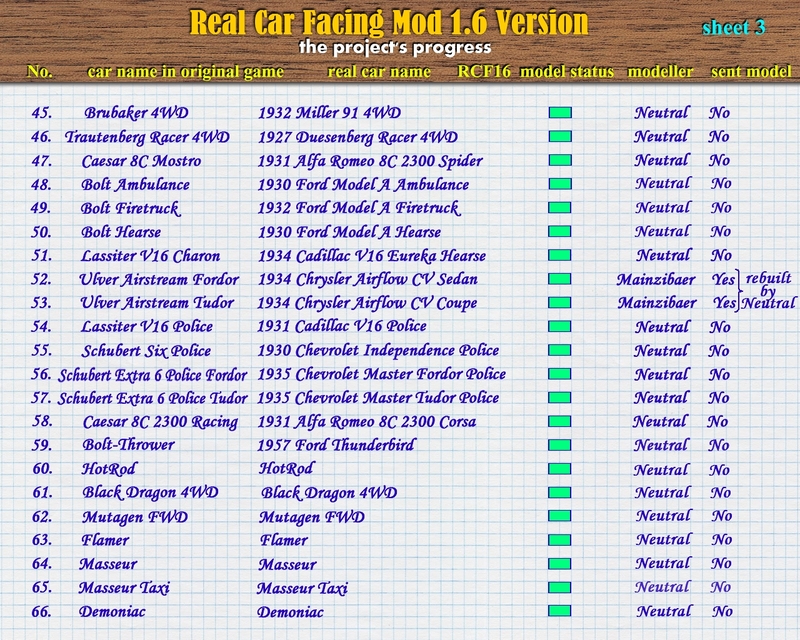 Now, what you see in the original game owerwrites with of my models cars of the same color and the same name. All types and colors as they appear like in the original game. I'm doing this for the first time the game re-players to create their package. They first get the new RCFmod. After that it is time to open modeling of "freeride only" version, and there will be anything rules so could create freely new cars in any color and types because i do not have to pay attention to the missions at all. I think to be better to make a table in which the rate of progress visible. 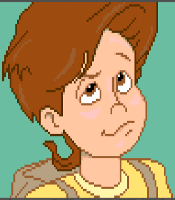 I mean would be here is a picture of it, which will refresh at times. In meantime completed a new video for you. I proceed slowly with the work. The Cord has perhaps the most difficult form of car _ the horror continue. 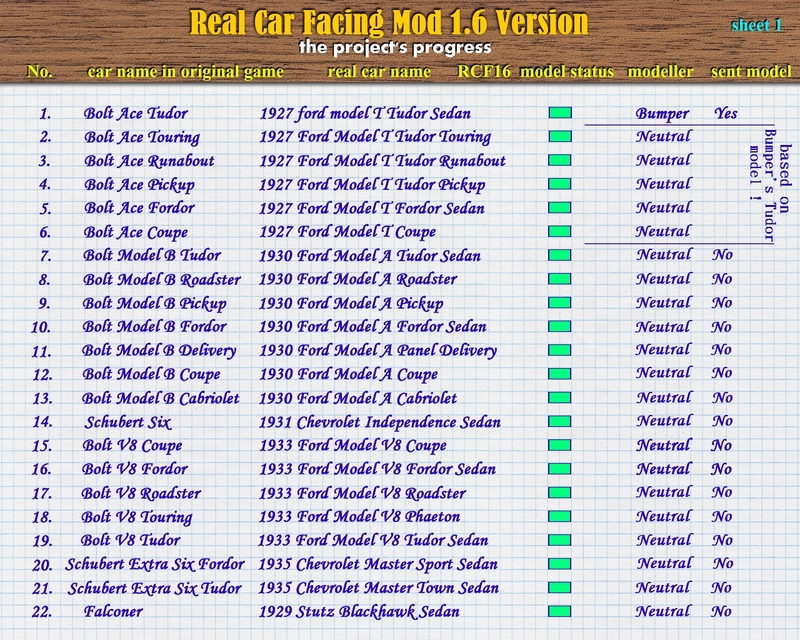 been a huge fan of the Real Car Facing mod since it started all those years ago. 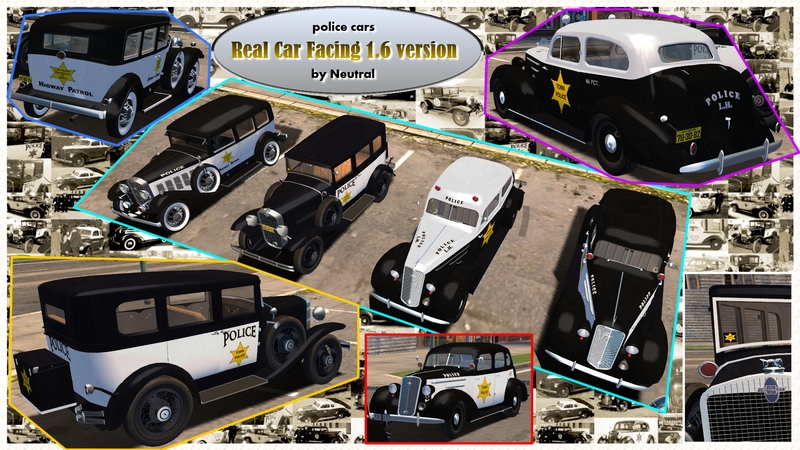 Loving your work on 1.6 thus far, especially the Chevrolet Master police cars and the attention to detail (I happened to spot what looks like a Cadillac V16 Charon in the background in one of the pictures ). Can't wait to try out the mod when it's ready! Keep on the good work! Ah, it's highway, not higway. "Highway Patrol" is the correct on side of the V16 Police car. When i want to create a model before scan the net for hundred photos and descriptions & if exist blueprints. This is because i want to give you authentic look of those great cars and the real street traffic. Naturally the game engine don't able to create that huge amount of many cars and lots of walking peoples like on the contemporary pictures can we see. 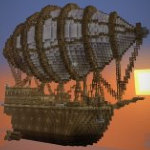 Here are the promised pictures about the project progress. I will update them periodically. Wasn't the Miller 91 rear or front wheel drive only? How about separate 30s and 40s real car facing ? The two taxies for example as time are incompatible. Moreover the large row of 20s cars. Upper in the poll the result inspired me to create two sub version to the RCF1.6. The old taxi is part of the "only game re player" section's car collection. 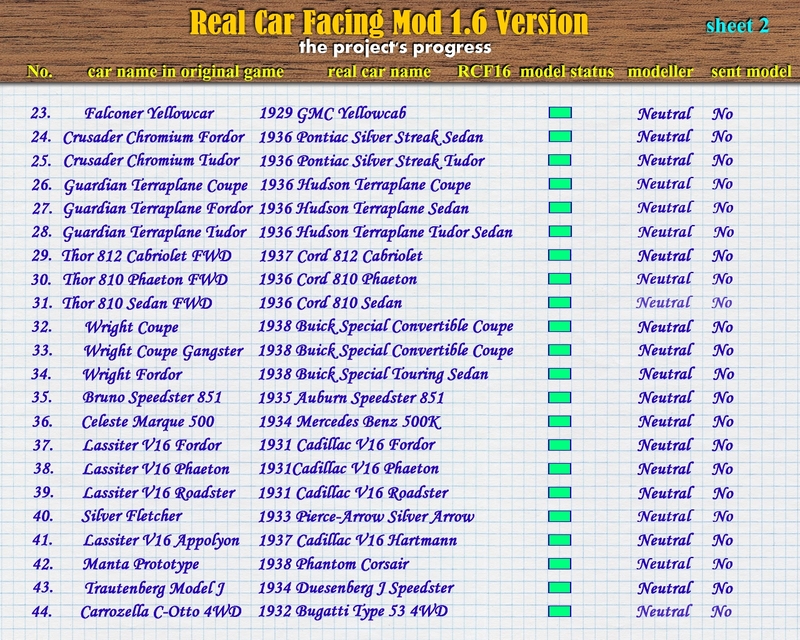 Now i work on them, the other "only for freeride" cars presently not yet. The newer taxi will use only in the second free car type collection that for represent late '30 typical street sight seeing but not for the "re play able version". Now refreshed the sheets, like i promised. By the way, for the freeride there has to be one Cadillac Phaeton where it was, and one with the roof raised /not sure what exact term is in english/. With different name of the maps. I for example use the second one instead of the hearse cadillac, They should be able to in different colours, that's why diff maps are needed. At least such is the situation with the so far existing such cadillacs.